I was reading this interview on lillyella with Joe .. the guy behind the awesome shop, Papercuts by Joe. I've never done a papercut before, but was inspired by his amazing work. One viewing of Louis C.K. 's standup on netflix steaming later, and this is what I made. Sheep and cow, and more to come! 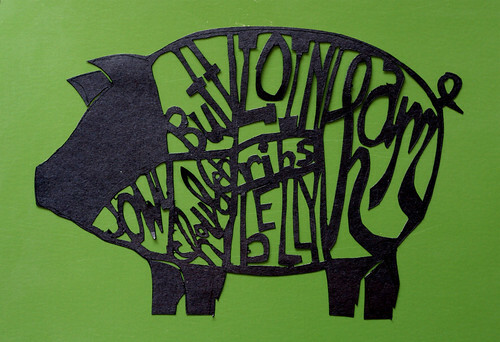 Would you consider making and selling these pig butchery papercuts in the papercut form instead of prints? Cuz I'd buy one!